In keeping with my festival research this summer, Alison Wonderland will be playing Time Festival on August 15. I am all for female electronic musicians (because there are so few notable ones, and also because I totally wish I was one of them), and I like that she samples weird stuff like Little Dragon and the Rolling Stones. Not to mention, she's from Sydney, which only furthers my theory that all good electronic music comes from Australia. 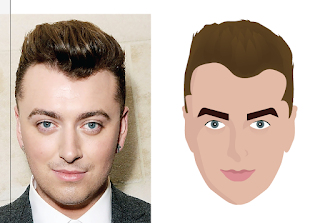 Sam Smith's face is complete. I was also able to take the bike out for a spin (finally found my helmet, too). How cute is he?! Kind of a weird hairline though...but those cheeks! I'll be finishing my wee Sam this week, probably on Wednesday. This is definitely a week for goals because I am also taking my G2 test tomorrow! I also want to ride my bike and maybe play some tennis on Sunday. 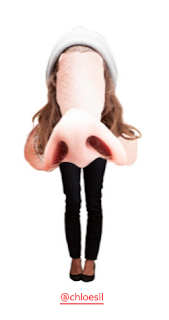 Kind of importantly, I want to write a special blog post this week. You may remember my post Jumbotron in Smallville. I want to expand on that post and edit it a little to reflect the recent changes to the corner near my house. More to come! This is hilarious on so many levels. I find that most of the humour like this was lost on the crowd, who tended to go for the white cards that were more shocking than relevant. 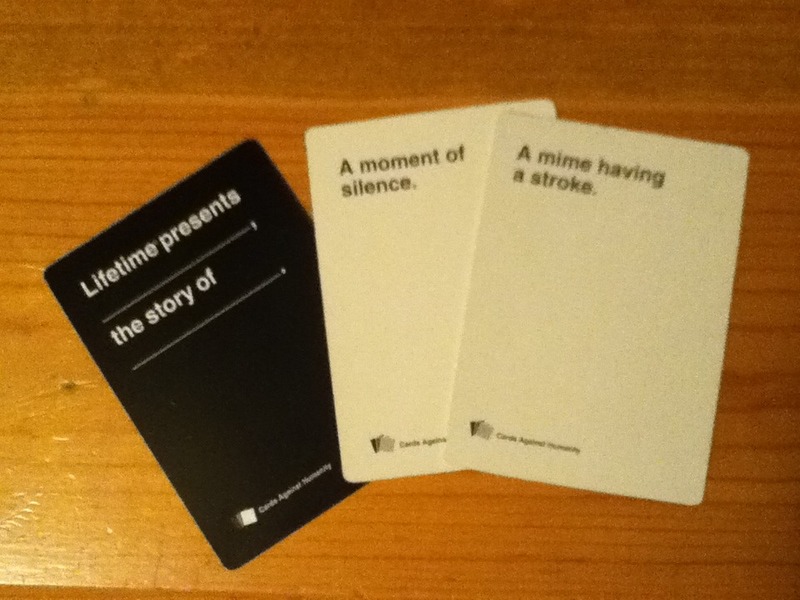 Of course, it might have been because alcohol was involved, but I think my point stands: Cards Against Humanity is the best way to get to know people and what their sense of humour is like. This is good for me to know because a good sense of humour is pretty much the number one thing I look for in friends. So this begs the question; how can I force everyone new that I meet to play the game with me? More planning is obviously involved. You can also see it (and make your own) here.